Nurtured in a thousand London dancehalls, and guided by the spirit of retropolitan ‘Twist’ pioneer Willie Bergman, the YTO recorded in a leading UK studio to ensure the hi-fi [high-fidelity] of a cult programme of gems, favourites, Twists and new classic compositions. The Orchestra’s trademark driving beat is much in evidence, although romance has also been catered-for. The album starts by wishing you ‘Mazl’ [good luck], then exhorts you to ‘Let’s Yiddish Twist’. You can’t resist, and whilst doing so you’ll ‘Shake Ya Tukhus‘. Which makes you hungry for ‘Beigels‘, and nostalgic for your ‘Bambino‘. East End politics calls you to twist on parade with the ‘Intzenationale‘; and ‘Bei Mir Bistu Shein‘, as the whole world knows, means you’re grand. ‘Now, Here’s a Dance…’ invites ‘Mishugana Mambo’, and the delirious pleasure reminds you that ‘Ikh Hob Dikh Tsufil Lib‘ [I love you much too much] – if that’s possible – and so you tease your partner ‘Ikh Vil Zikh Shpilen‘: I want to play…playing makes the world go round. The album closes with a Twist inspired by the frisky movement of little goats ‘Had Gadya’, and your YTO journey brings you home calmly and spiritually with ‘Avinu Malkeinu‘. 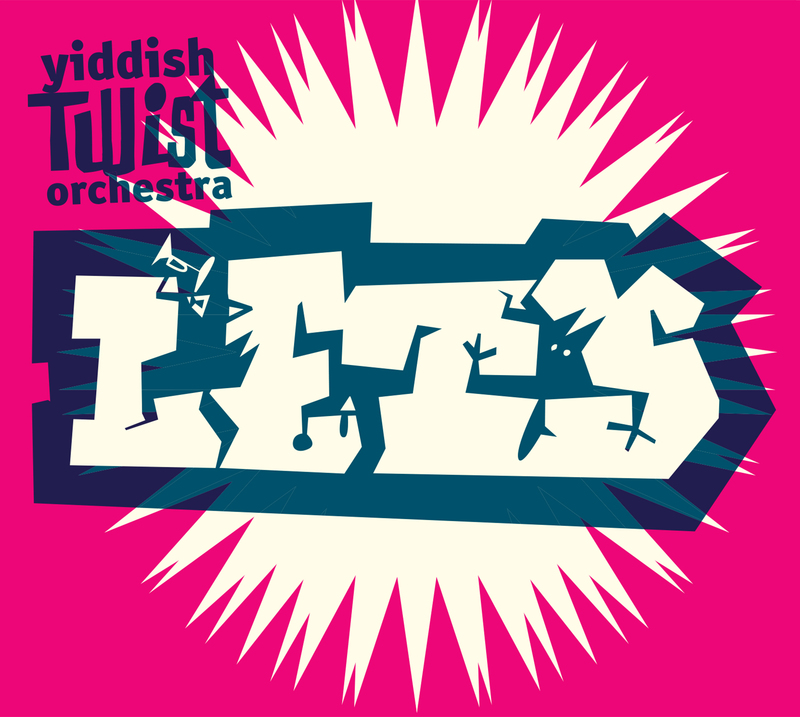 dear Friends, please welcome YTO: ‘The Yiddish Twist Orchestra’. The fans have asked for a long-player: ‘Hey, YTO: give us a long-player!‘ The response: Eight twisting gents play Twelve twisting jewels for you. Yes. And here it is – let’s celebrate, let’s ….LET’S!